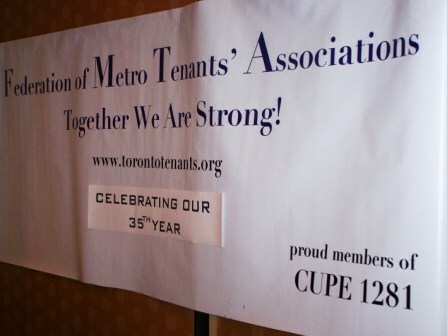 Announcing The Second Annual FMTA Tenant Awards! Do you know a tenant has worked to better the lives of tenants in our city? A person who has made an outstanding contribution to the well-being and future of Toronto renters? Who has made an impact on your community? Who has fought discrimination? Built community? Who has inspired you? Sign up for the upcoming Tenant School- March 30 and April 6! We are pleased to offer a Spring edition of our popular Tenant School program, a free, two-day intensive training for tenants. Lawyers and other experts teach courses on your rights under the law, advocacy, and tenant organizing and working with government / decision-makers. Winter brings special considerations for tenants. Although the laws surrounding residential tenancies do not change with the seasons, some issues are more prevalent during Canada’s chilly months. Toronto is quickly becoming a city only for rich people and developers - $1500 a month for rent isn't affordable! It's an interesting time for Toronto! Elections are up and soon the new council session will start with the new Ward structure created by the province. Stay up to date in tenant issues! 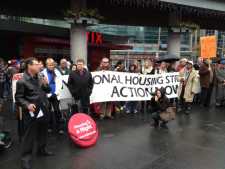 FMTA Releases New Report on Rent Control! Despite there being much disagreement on the topic of rent control, this paper put together by Phillip Mendonca- Vieira is a comprehensive sweep that starts with the empirical evidence at our disposal and aims to have a serious discussion about the benefits, drawbacks and impacts of rent control.